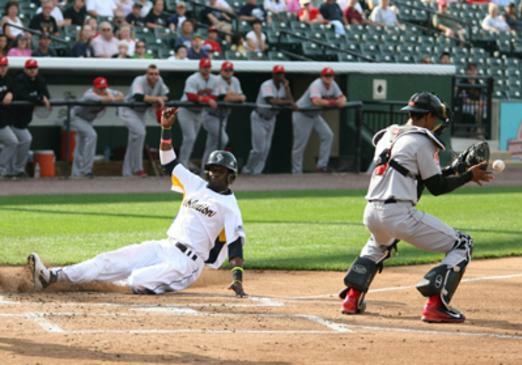 Family fun for half the price! 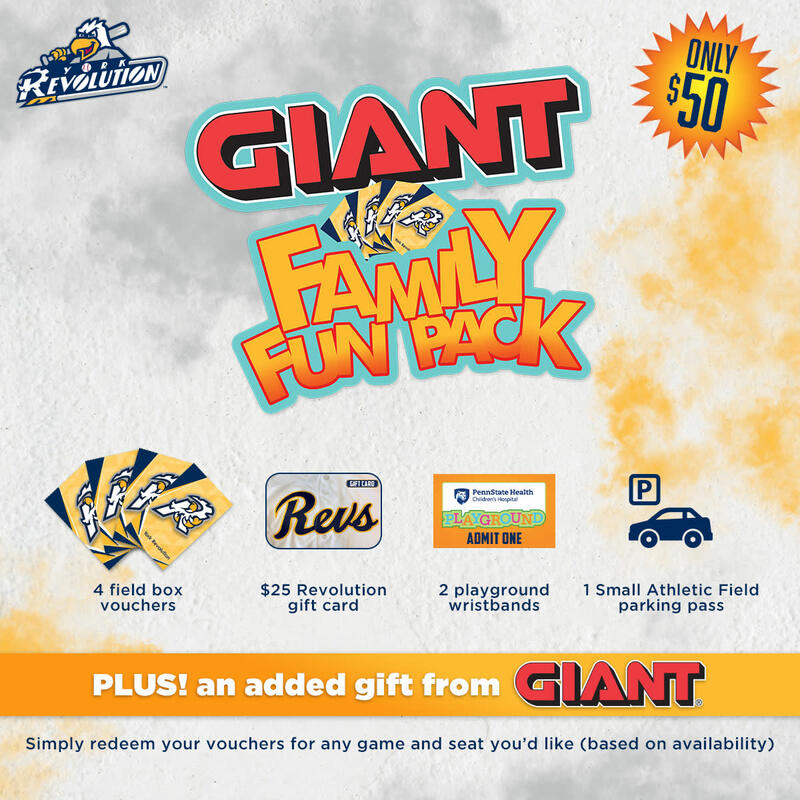 Get 4 Field Box Ticket Vouchers for the 2019 Season, a $25 Revolution Gift Card, 2 Penn State Children's Health Playground Passes, 1 Smalls Athletic Field Parking Pass, AND an added gift from GIANT. That's $91 worth of Revs Time for only $50! 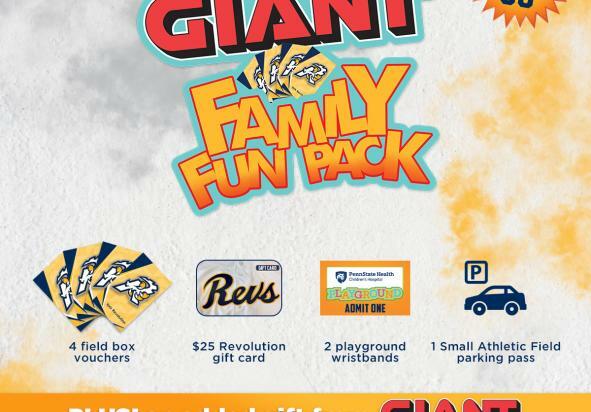 Take an extra $5 off when you bring in your GIANT receipt!